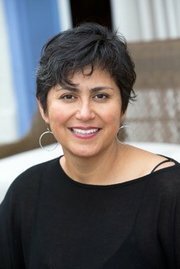 Elected in 2015, Lisa Flores is a member of the Board of Education for Denver Public Schools. For the past 25 years, Lisa has worked in the nonprofit, local government and philanthropic sectors. She earned a bachelor’s degree from the University of California at Santa Cruz in American Studies and a master’s degree in nonprofit management from Regis University. A former Peace Corps volunteer (Ecuador 1994-96), Lisa has continued her commitment to volunteer community service by participating on numerous community boards, including: the Latina Initiative, NARAL Colorado, Children’s Museum of Denver, Denver Housing Authority and the Denver Public Library. In addition to serving on the board of Rocky Mountain PBS, she is currently an appointed commissioner for the Denver Urban Renewal Authority. Lisa is married to Rick Tallman, a Gulf War-era veteran, who works in renewable energy.